The Media Browser and All Files Browser are your first port of call for browsing and previewing media files. 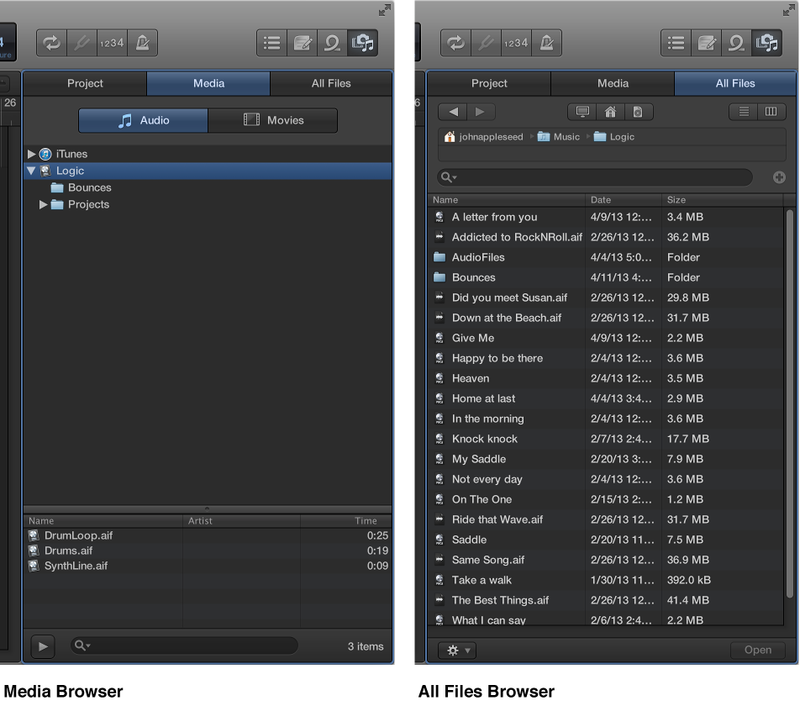 Use the Media Browser to find and import songs from your iTunes library and movies from your Movies folder. You can use the All Files Browser to access all supported media files on the local hard disk, home directory, or current project folder. The All Files Browser is only available when Show Advanced Tools is selected in the Advanced preferences pane. Click the Browsers button in the control bar, then click Media. Click Audio or Movies, depending on the type of media you want to import. Select the location or folder that contains the files you want to import. Click the Play button at the bottom of the Media Browser to play songs from iTunes or preview movies from your Movies folder before you import them. Drag the files you want to import into the Tracks area. Click the Browsers button in the control bar, then click All Files (or press F). Click the List View button or Column View button to choose the view you want to use. List view: Shows folders and files in a list, along with details such as name, creation date, size, and type. Double-click a folder to show its contents. 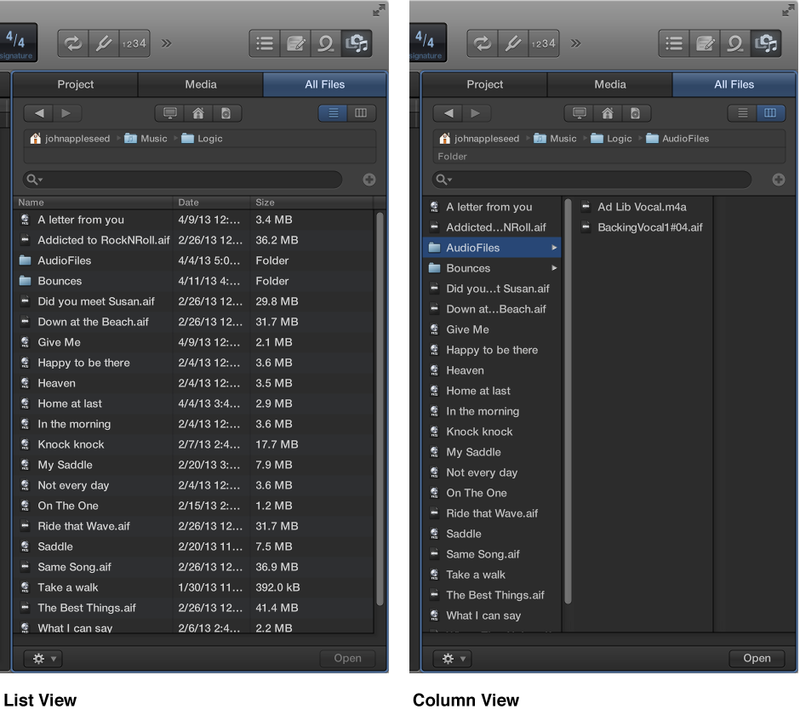 Column view: Shows folders and contents in columns. Select a folder to show its contents. To change the visible contents: Click the Computer button , Home button , or Project button . The Computer button shows the contents of the local hard disk, optical drive, or other storage media connected to your computer. The Home button shows the contents of your home directory. The Project button shows the contents of the current project folder. To move through the folder hierarchy: Click the folders in the file path hierarchy, or use the Back button or Forward button . You can also search for files by name.